Regret the ink? We have Laser Tattoo Removal! It is estimated that close to 25% of the U.S. population has some sort of tattoo. Eventually, as many as 50% of them want to have that tattoo removed. There is good news for those who have that unwanted body design. Our laser tattoo removal can eliminate your tattoo with minimal side effects. We use Alma Harmony Laser, a lasers that removes tattoos by breaking up the pigment colors of the tattoo with a high-intensity light beam. 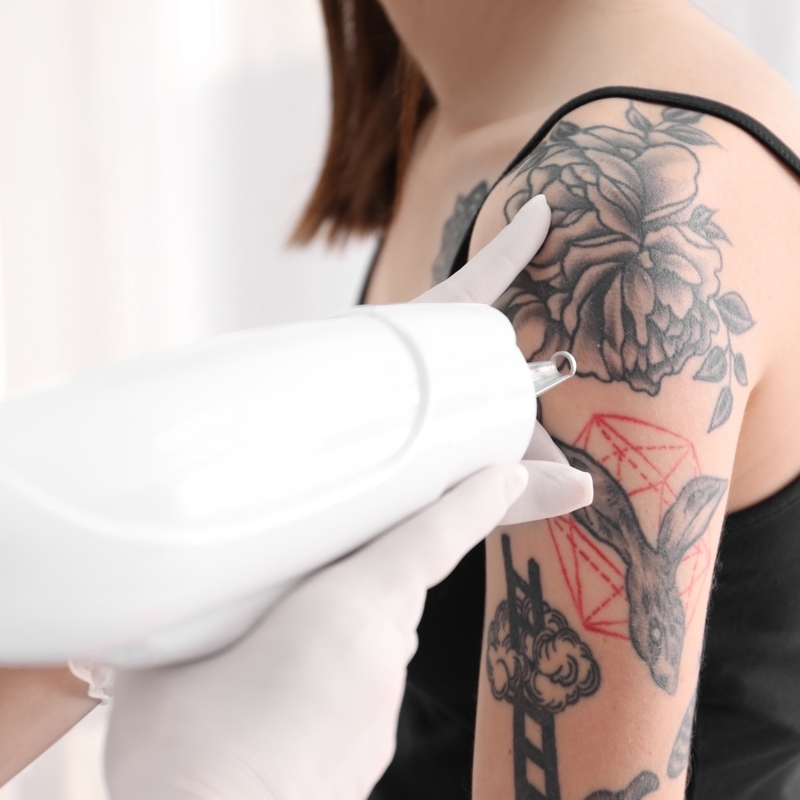 Black tattoo pigment absorbs all laser wavelengths, making it the easiest to treat. But we can treat all tattoo colors. It is safe and effective and you’ll love the results! Schedule your appointment today.